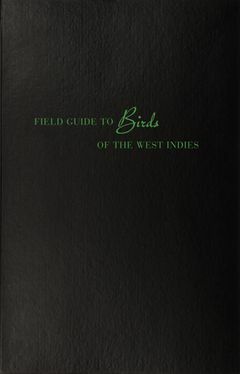 In 1936 an American ornithologist named James Bond published the definitive taxonomy Birds of the West Indies. Ian Fleming, an active bird-watcher living in Jamaica, appropriated the name for his novel’s lead character. He found it "flat and colourless," a fitting choice for a character intended to be "anonymous ... a blunt instrument in the hands of the government." 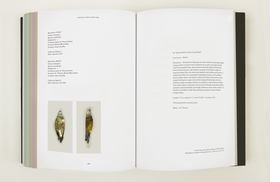 In Field Guide to Birds of the West Indies, Taryn Simon casts herself as James Bond (1900–89) the ornithologist, and identifies, photographs and classifies all the birds that appear within the 24 films of the James Bond franchise. The appearance of many of the birds was unplanned and virtually undetected, operating as background noise for whatever set they happened to fly into. Simon’s ornithological discoveries occupy a liminal space—confined within the fiction of the James Bond universe and yet wholly separate from it. This taxonomy of 331 birds is a precise consideration of a new nature found in an alternate reality. 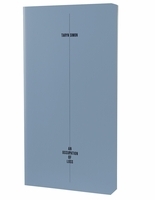 Taryn Simon (born 1975) is a multidisciplinary artist who has worked in photography, text, sculpture and performance. Guided by an interest in systems of categorization and classification, her practice involves extensive research into the power and structure of secrecy and the precarious nature of survival. Simon’s works have been the subject of monographic exhibitions at Ullens Center for Contemporary Art, Beijing (2013); The Museum of Modern Art, New York (2012); Tate Modern, London (2011); Neue Nationalgalerie, Berlin (2011); and the Whitney Museum of American Art, New York (2007). Permanent collections include The Metropolitan Museum of Art, Tate Modern, the Guggenheim Museum, Centre Georges Pompidou and the Los Angeles County Museum of Art. Her work is included in the 56th Venice Biennale (2015). She is a graduate of Brown University and a Guggenheim Fellow. Simon lives and works in New York. 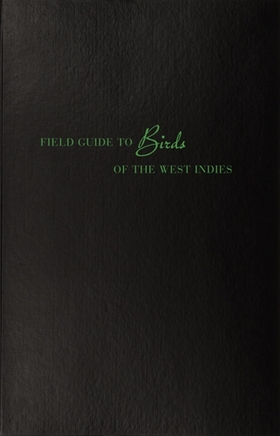 Featured image is of Taryn Simon: Field Guide to Birds of the West Indies. FORMAT: Hbk, 7.5 x 11.5 in. / 608 pgs / 367 color.